Despite an annual pre-passover WSJ puff piece praising the new line of kosher wines, most readily available kosher wines remain dreadful. This is in no small part because kosher mandate requires that a wine be “cooked” if there is a threat that a gentile will touch it, a preparation that would horrify most oenologists even for a quaffing wine. Bartenura wines are particularly vile because they are so sickeningly sweet. Only clueless Orthodox Jews who never tasted the elegant fruits of the secular world could drink such sugary urine on a regular basis. It’s kosher wine lines like Bartenura that helped create the myth of Jewish sobriety. 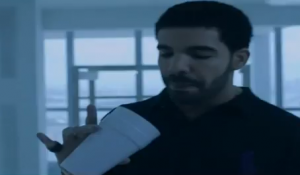 I hope the rappers in this video, “I’m On One,” didn’t actually have to drink the product. Drake is Jewish, so he’s probably used to it, but as for Dj Khaled, a Palestinian, this is yet another abuse at the hands of our people. There are many outstanding Kosher wines to be found today from around the world and in my opinion the most interesting wines are the Israeli wines. Kosher wines do NOT have to be “cooked” MEVUSAL- only those who chose to do so. There are many kosher wines that are just as kosher without being cooked. As long as it does not state MEVUSAL on the label, the wines ar no different from regular non kosher wines. Kosher is in the process and handling of the grapes from picking to bottling and not in the cooking. Try some Israeli wines like TABOR or CASTEL and be amazed. I would like to know what is Mr. Mendelbaum’s basis for claiming that “most readily available kosher wines remain dreadful”? Has he tasted most readily available kosher wines? Well I think those two previous posts pretty much discredit Mr. Mendelbaum’s entire post. Could you at least find out how much Bartenura paid for the placement, and why on earth they’re trying to market their product to hip-hop fans? This could have been a much more interesting post. PLONI ALMONI, did you not read even the first half of the sentence of the post? In other words, bring a different source. Not the Passover WSJ story. Yeah, that’s a tough one. Why on earth would a wine maker who’s product ostensibly only appeals to a segment of the kosher consumer want to expand into the massive urban market? Why? I don’t know, MICHAEL. I just don’t know. Bartenura does not make great wines. I call their Moscato d’Asti “wine soda.” It’s not something I’d recommend to a connoisseur, but it is more vapid than vile. It’s sweet, but not exactly Mogen David sweet. Mevushal amounts to flash pasteurization at 180 degrees Farenheit. Many of the better wines are not mevushal; some perfectly good ones are. I would assume that it does not improve wine, but it is nowhere near as deleterious as you seem to believe. It certainly does not render it undrinkable. Besides, non-mevushal wines are not exactly hard to find. I have seen many positive reviews of kosher wines–some mevushal, some not–by actual experts, including Robert Parker. Given your prejudice, you probably assume any positive review of a kosher wine must be a puff piece. But I’ll take their opinions, the Wall Street Journal’s word, and the evidence of my taste buds, over the clueless rantings of an ignorant bigot like you. First of all not all kosher wine is cooked. Cooking is not essential to make wines kosher. Secondly, as other posters have commented there are wines that are certified kosher that come in all varietials and levels of sweetness. Third the quality is now as good or as bad as any other wine available. Fourth, Italians must be stupid or ignornat and are all probably Jewish – because the amout of Moscato consumed by Gentiles particularly Italians – far exceeds that consumed by any Orthodox Jews. If you can stomach it Mr. Mendelbaum, perhaps you should try Sara Bee Moscato. It’s a little less sweet and a little more bubbly than the blue bottle. Plus it’s about half the price of the Bartenura, so your investment will be limited. Oh, and if you want to be authentic, drink your Moscato with an ice cube. Caio amico mio. The Italian people thank you for your insult and will return the favor I am sure. I took my almost 2 years to catch your post, but less than 5 minutes to dig up plenty of material to dispute it. Really you know nothing about Kosher wine in the modern world. But that of course doesn’t stop you from pretending you do! Dude, STFU if you don’t know anything! BTW, almost all these authors know, in fact, very litle about Kosher wine as none of them are remotely specialists in the field but rather have far broader fields to cover.